Yesterday, when I wrote the story about Tesla's financial difficulties and that one hedge-fund manager emailed to his clients that "Tesla, without any doubt, is on the verge of bankruptcy," I posted the story for discussion in Model S Owners Group on Facebook. To my surprise, many Tesla owners were very confident about the company's future. As you may already know, last night Moody's downgraded Tesla based on NTSB investigation of Model X crash, Model 3 delivery problems and overvaluation of the stock. But yet, many Tesla owners are confident about the company. Let's hear some of them. Some remind the days when people thought Apple was going to go out of the business. When it comes to Tesla, they say Tesla is a young company with great products. Keep the faith in Tesla's growth. Other members hope on the increased deliveries of Model 3. And this is a valid hope because we see that Tesla Model 3s are catching up and it should improve Tesla's financials. "Think about this, in March I'm thinking they will deliver about 3K model 3s. That's $150M in revenue. 4K - 5K in sales for April up to $275M in revenue. When they get to 5K per week that's $800M in revenue for month. I think (and hope) they will be fine," writes Trevor in the group. Some Model S owners write that Tesla needs to concentrate only on getting the Model 3 at full production without significant quality issues. They need to put the Model Y and Semi projects on hold. Recently we learned that Fedex also ordered Semis. But the problem is that they have the orders for the semi that also need to be delivered and those customers are buying multiple units. Bloomberg is estimating 19k Model 3s have been produced in 7 months. 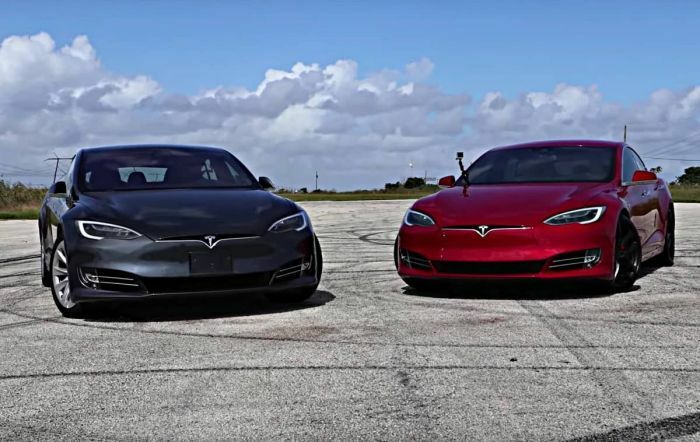 That's the fastest Tesla has ever produced a new car. Others put their hopes on the Model Y. "The day Tesla unveils the Model Y, the company will get at the least a $100 Million cash infusion. That's 4 times the amount this fund manages... They are focusing on the 3, but they also need to be ready to go with the Y as well," comments another person. But Tesla has a production demand problem. It needs to make the cars fast enough. The worst case scenario: Tesla files for bankruptcy, like gm and United. Jettisons obligations debt etc., as an owner, you might loose life time free access to supercharging network... Tesla as a brand isn’t going away any more than gm. It’s in the black if you erase it’s debt structure. What do you think about Tesla's near future? I don't think Tesla is going away, but the company needs to speed up the Model 3 delivery and its financials, including executive pays. I am on my second Tesla Model S, thinking about the roadster, so I’m sticking with Elon and TSLA. Good time to buy. It is not a question of going bankrupt, nor whether you should buy now ( NO), Tesla is losing the follow at all costs group. It will end up at a more realistic value. Chances are if you have not sold, you may never make up what you invested. ON the other hand, it will come back, but will be a slow return. A lot like Apple in decades of the past, when it went really high ( 40, 59, 60 ) and then dropped like a rock to 15, 10, 5. IT came back and so will Tesla. NOt for the quick buck, but for a very long time investment, which means many will not hold it until it comes bacl, but take the loss and get back in later. Tesla buyers, owners are the last people one should ask about the company. These people probably think that Tesla still has technological advantages over a very few competitors. In fact, Tesla is now second rate in the electric car arena - their Supercharger network is overloaded and now less tha half as fats as the CCS 350KW chargers used by every other automaker on the planet except Tesla and Nissan. Tesla driving ranges are now inferior - the half-as-expensive Chevy Bolt has a greater driving range than Tesla Model S and X. Now comes a Chinese SUV with 1000 horsepower, clearly enormously faster than any Tesla vehicle, costing far less. Tesla has shown itself to be an amateur automaker, unable to do something as elementary as mass production of a vehicle. Tesla is loaded with debt and likely to go bankrupt. It is also being sued for a variety of reasons (autopilot murders) and is being pushed by the UAW to unionize. Tesla is a complete mess, run by a big mouthed blowhard who seldom makes a truthful statement.